This is a word game about a man escape from prison. A man is framed and imprisoned, but he never gives up and plans to self-salvation. Persevere, day after day, year after year. Hope can set him free. Finally, he can take the breath of freedom. Features: • Simple, easy rules, type the correct word to win a game! 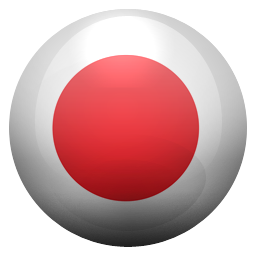 • ALL LEVELS are FREE for all users! • NEW word gameplay, good news for word gamer! • No time limit, adjust your pace at any level • Play offline! No wifi required • FREE hints, get tips without fees • 1000 levels without repeat, be a word master in our training! • Kill time-no pressure no push! • Suitable for both kids and adults to train logic skills. DOWNLOAD NOW! We are working on improving the game, so if you have any question, let us know your thought and tips via greatpuzzlegames@gmail.com. Great to pass the time easy and fun. This game makes me think and when I’m stuck it lets you get help and I like that. The ad is deceiving. Nothing like the game. This is just a word game. To me this app is really fun and it teaches kids how to learn new words. It can also be a game for all ages because yesterday I was playing and my grandma joined in! I give it a five star and all of my support! Right now I’m just going to talk about the prize wheel. That thing is rigged. There is only one 10 coin (lowest prize) spot, and yet 9 out of 10 times I land on it. Hints cost 60 coins. I have run multiple experiments. Nothing like the preview ad. Boring word creator. Words don’t even connect to the actions of the story. It’s such a fun games and hilarious!!!!! Very boring you do the same things over and over again the only reason why you would get the game is because of the word search and even that is bad it was far to easy and there was no reward when you found the word. Incredibly boring. Same scene over and over again, not like the ads. I’ve been stuck on the same level for a week. Hey my name is Kamiyah this is the best game I have ever played! Makes you think, and helps fund new words, and interesting storyline. There are so many grammatical and tense errors in this game, I had to delete it to keep myself from throwing my phone across the room. I got to day 367 and uninstalled. Pretty exciting to watch the same 3 animations over and over. Less words and more story. How bout that? I HATED THIS APP AND I DELETED IT AFTER JUST 1 DAY. OMG I got so bored of it!! Would rate 0 stars if I could! This stupid “game” is nothing like advertised. Wish I could sue you. Also, these are too easy! This game is mind boggling it uses a lot of thinking and patience it help spelling and accuracy in vocabulary for kids 9-any age it helps witg strughle of spelling🙂. Sincerely:Brooke. Ads were better than the actual game. There’s no reward for going further in the game and the one off stories are short and boring. There are lots of grammar and spelling errors in this game, and it’s a game about making words. I have to imagine at least a large portion of these good reviews are somehow manipulated/fake, or maybe they removed negative reviews to alter the overall rating, because this is truly an awful game. For starters, this game has absolutely nothing to do with the ads. But even then it makes no sense. There is little objective to the words you end up making. You’ll end up putting words like cat and fox and you’ll pass the level, but those words have nothing to do with a prison break and they are not shown to have anything to do with the game’s objective. Also, many of the bonus words u can spell are literally not actual words, at least not in English. Words like “sed” and “hors” are validated in the game. I even googled them because for a second I thought maybe i was just dumb and didn’t know the words, but they do not exist. And there are a LOT of “words” like this in the game. 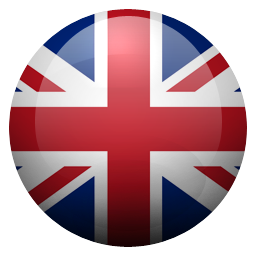 There’s nothing wrong with not being fluent in English and developing an app, however it’s probably fair to say you should make an word game app in English if that’s the case. Anyway, perhaps the game will improve but as of now, it’s a waste of anyone’s time. I’m sure you like most people downloaded this game because of the ads.The ads make the game look fun but it is not.The game is so boring because it is just puzzle after puzzle after puzzle.Where is the fun? Nothing like the ad and very boring. I downloaded this game for my daughter. It downloaded on my phone too and I play it quite a bit. I don’t mind the game but the ads that come on are very raunchy. Can’t you find another game ad to play during a game that might have kids playing. One of the ads for Interactive Story showed a woman grinding on a man. Really? This is a very short, but slapstick comedy game where you actually need to think about using the correct words. The music is very quirky, but it shows how it’s kind of boring in prison. Even though the ads are weird and misleading this is good game for spare time. Poo I love poo ps this game is awesome 😎 it is one of my fav games it’s awesome. 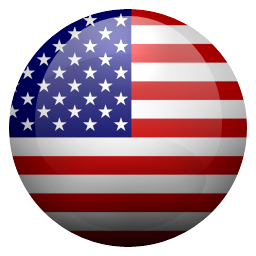 It is the best game in the USA I enjoy playing this game very very very very much. The game lame and it makes no sense. In the ads it showed that you can match the figure. It is a rip off. When you play it you will see. The only reason I got the game because every time I stream that is the ads that people see. This game is so fun I played in for 2 nights! The adds make this game out to be completely different! There’s no way to understand what word you’re looking for, it’s just guessing and hoping for the best. Disappointing game that has fake reviews. This game is beyond disappointing. Those reviews that say it’s good are fake. Their names are auto generated and the words said are generic. I simply cannot believe that some absolute trash can get so many good reviews. This game is so much fun for free time and so yeah!!!!! I been looking at the ads and I thought it would be supper fun but it’s the opposite it is so boating all you do is type the word and that’s all it’s so boring it’s nothing like the ads I recommend to NOT download this app. Ads do not match the actual gameplay. It stays at one scene for the whole game. Their is a trend of advertising what looks like a cool game, but after downloading it, it is little to nothing like what you saw. Shame on you. STOP THE DECEPTION. I love this game it is so fun!!!! Word game from a team that doesn’t speak English. Boring, repetitive, misleading, and poorly written. If you want to make a game that is centered on English words, learn how the English language works. Otherwise just stick to the chinese market. Terrible game with an ocean of fake reviews. It’s so funny when you get frustrated and use all your coins for hints and the words were really simple but all thought it’s very fun!!!!! Like many have said before, nothing like the ads. Kind of fun at first, but then gets tedious, I keep trying to power through, but it’s ENDLESS, feel like I am making zero progress, will just delete this, no good. You know how all the ads show they guy trying to be a girl, well. It doesn’t show that in the game all you do is type letters to get a word and it just shows you the same thing over, and over, and over, and over again! The game is really boring but fun! The background music is weird, it is kinda annoying! But the person just does the same thing! It doesn’t do what the add shows where you match the word to the picture and try to escape prison like that. NO! It just tells you to type letters to make a word! This game is just like word scapes and all the other games that tell you to match letters! But at first when I saw the ad I was like “I want to match things up with the picture and try to escape!” Then when I went into the game and started play I was like “ THIS IS NOTHING LIKE THE AD!!!! !” Even though the game is disappointing it is still educational. It tells you to spell words and they make it hard, which is good! But I am still disappointed in how the ad was and how when you play the game they are nothing like each other! I would give this app 2 stars. I like the hello stars game better then this!! I am going to express my anger now! “ THIS GAME SHOULD NOT HAVE 4.8 STARS! IT SHOULD HAVE 2 STARS! !” I am so sorry about that. But I am just very mad and disappointed 😓😢😭😒😞☹️🙁😕😟😔😣😖😫😩🥺😢😭😤😠😡🤬🥵😥😓😰🤕🤒😿🙀😾👎🏽👎🏽 Well, that is what I think about the game. I AM REALLY SAD THAT IT IS NOT LIKE THE AD SHOWS!!! 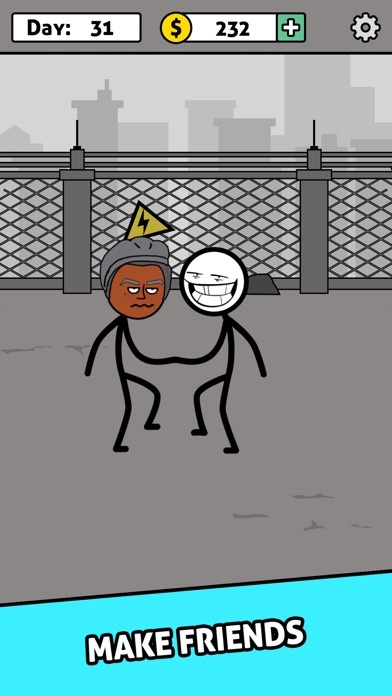 I’m sure most of you people are here are here because of the ads for this game that looked interesting where there are stickmen trying to escape little cutscenes and when you reach a situation you have to type in the tool you might need to continue along with various animations making it seem like a very interesting and funny game to play. HOWEVER the ads literally are NOTHING like the game the only thing that’s the same is the fact that your in a prison, spelling words, and the assets. I thought the game would be interesting so I downloaded it, I am now on day 250 Nothing has changed its just a spelling words and digging in a hole (that’s probably made of titanium metal) Endlessly (basically) the ads are misleading and the best part about the ads were the animations but the only animations you will get here is: the guy making progress on his stupid hole, Him dumping out rocks from a bag, getting a new item and some other crappy 3 dollar animations sure in you defense you might say the game is good and the ads are just a little misleading but the ads are what make the game BAD not to mention while playing the game you will encounter multiple ads and remember how the internet works kids: Misleading Ads+game+advertisements in the game=money So the point is that they need to either A: make their game like the ads, or B: Remove the old ads and add ads that actually are the GAME. THIS IS A REAL AND HONEST REVIEW! i’m assuming most of you have downloaded this game because you saw ads for it everywhere and it looked fun! right away i was disappointed as soon as i searched it in the app store. the word “persevere” in one of the pictures is spelled, “persever”. right away, i lowered my standards. i opened the app and thought it was alright. i spelled a few words, and the guy dug a whole into a wall, then we would go outside to dump out the rocks. it’s a VERY BORING app!! that’s all he did. not to mention that no one who spoke english well reviewed the app before it was published. half the stuff it says in the app doesn’t make any sense. also, there is no music!! i like playing my games with background music or at least some sound effect but nope :( overall, this app is poorly made, and does not deserve to have 4.8 stars. i have no idea how it has that many. don’t get this app unless you enjoy spelling random words that have nothing to do with what you’re trying to accomplish in the game. for example, it’s not even like “he’s hungry, what should he eat?” it just gives you random letters and makes you spell words with no hints or clues whatsoever about what you’re trying to spell. i’ve never been more disappointed in an app before. thank you for your time, and i do not recommend “wordstory”. I really enjoy word games so I thought I’d give this a try. I like the story and the objects the character can use that gets added throughout the game via level solutions. I feel they could add a lot more to the story though. Especially the cut scene animations. They tend to repeat too much, so it feels like there isn’t much progress happening. My biggest problem though is with the glitches. The daily challenge hasn’t been working correctly. The first problem was it wanted the word “Monaco” (I even used coins to make sure that was the word) and I kept telling me it wasn’t a legal word. Today’s daily challenge isn’t letting me select letters to put in the empty boxes. If you want people to spend money on a game like this you got to address these issues quickly. And it wouldn’t hurt to expand the story and add more diverse cut scenes to show the character advancing. After all, it is what separates this word game from many others. I would give this a higher rating if it wasn’t for the glitches in the daily challenges. How does this game have such a high rating??? So, I was intrigued by the ad for the game, probably like most of you. I see in the ad different scenarios to escape from different areas and the words you figure out are supposed to help the guy try to escape and you get to see a funny little animation of if it goes right or if it goes wrong. That was interesting and worth playing. I download the game and I’m figuring out words that have nothing to do with anything. There’s no clue to a word, so you’re figuring it out from the air. For many levels, the guy is still digging out a hole in the wall. And his “progress” is very slow. I’ve read other reviews that say he’ll still be digging for many, many levels. So, when do we get to actually helping him escape or see the funny animations? I get that that might take some time to get to, but don’t show me an ad where you’re showing the last bit of progress when it’s going to take me 50+ levels to actually get me there. Show me the slow gameplay, so I actually know what I’m getting into. I can see the fun in the game, but watching ads and making little progress over time just isn’t for me. Most people download this app because of all the cool looking and fun ads. The ads feature multiple scenes where you need to spell one word with the given letters, and if you spell the word wrong, you fail. NONE of that happens in the real game. The ads are NOTHING like what the game has to offer. I got so bored of it I uninstalled the app at day 28 because it was such a waste of time and nothing interesting happened. What actually happens in the app is the guy does try to escape prison but all he does it dig a little hole and occasionally go outside to dump the rocks out. My question is, IF HES DIGGING A HOLE TO ESCAPE, HOW THE HECK DOES HE GO OUTSIDE?!?? do the cops just let him out? It makes no sense. Also, the game is sooooo boring. Instead of being given all the letters to try and figure out the word, your given a bunch of random letters scrambled all together which is nothing like the ad had displayed. Please make the game like the ads to make it interesting. I have no clue how this app has 4.8 stars. The creator probably made a bunch of bot accounts and rated the game 5 stars. I recommend deleting this app because it will waste your time. This game starts off decent as you progress through the Chapters. You unlock upgrades and earn coins just by completing each level. The upgrades are purely cosmetic because it doesn't matter how fast you dig; you still have to complete each chapter just to see the next part of storyline. The shop is a joke with nothing to spend the coins on. They are only useful for blowing up letters and giving hints. Only play Chapters 1-10 because after that Chapters 11-13 are a total waste of time. THIS GAME IS SO GOOD that it will let you play through 1478 more levels that add absolutely nothing to the storyline. I LOVE IT SO MUCH that I'm greeted with an "All Levels Cleared" button at the end of Level 2000. "See you in the next Chapter"... yeah right clowns, get a clue. Increasing the amount of levels in each chapter to extend playing time is the best example of artificial difficulty. The game tricks you into thinking there's an epilogue after the Main Story but there isn't. It's just the same still shots with speech bubbles scribbled on the screen. What an absolute letdown. It’s good, it’s fun, but the walls are like a kilometer or kilometre or something thick! When I thought I was almost done, I was only a few HUNDRED MILLIONS LEVELS AWAY FROM BREAKING OUT. Not literally, but STILL. I don’t mind the ads as much as other people, but they do get annoying. It’s actually getting pretty boring, as all you do is find words. Maybe add longer words as a challenge, or maybe make the wall a bit thinner. AND ADD MORE ANIMATION THINGS. PLEASE. It was fun, but not anymore. Please, look at at 5 star games about words and get some inspiration, or think of ideas because I CANNOT AFFORD TO LET THIS CUTE LITTLE GUY DIE ALONE IN JAIL BECAUSE I GOT BORED OF THIS... THING. Oh it was a game. When I saw an ad for this, I thought it looked cool. Now, I’m starting to take that back. I feel a bit of regret for getting this game, but otherwise, it’s kinda good. I kinda like the story. KIND OF. Wait, but if he’s innocent, why is he breaking the walls of jail? :/ ? I guess we’ll just have to WAIT and SEE IF HE EVER EVEN GETS OUT OF THIS... THING. First off: The ads for this game are absolutely false. You aren’t trying to solve the word puzzle and if you get it wrong the guard catches you. You’re simply solving word puzzles. The entire game is basically every few words you solve a day goes by. Sometimes when you solve a word a simple screen play appears. Usually in the screenplay you’re either given a new tool, you’re dumping dirt outside, or your playing with this random bird. I did see a cop one time, which you bribe with a bottle of wine. But that was it, and it doesn’t seem to have been related to anything. And nothing really happens after that. The hole never changes size and there’s no way to win the game. You just keep solving words with no end in sight. This game is absolutely pointless and is just a way to waste time. So if that’s what you’re looking for I’d recommend it, but that’s not what I look for in a game. I really don’t know how it has so many positive reviews unless they are mostly fake. I doubt any of them are real. After 106 days I’ve dug 78 feet into my wall.... how thick are these walls? I have been playing this game for a long time and it just keeps repeating itself over and over again this is such a boring game and I see no point of it and it’s nothing like I see In the adds this is a crappy game and I do not recommend it. I have just looked at others reviews saying they same and they are ahead of me and saying that when your at day 126+ your still digging holes in the wall, throwing rocks on the ground. Also the words you find have absolutely nothing to do with the actions your guy finds it’s a pointless and endless game that waste your time and after all the terrible reviews they haven’t fixed anything!! I don’t recommend this game. The adds lie and show the you want they once you download it, it’s the worst thing ever. I understand that people make adds for the game to make you buy it but the ad shouldn’t be the complete opposite of the real thing. I would like if they made the game like the adds. I only downloaded this game because of the adds it seemed fun but now it’s just boring. Pls fix it.! Word Story is a boring game that is nothing like what they advertise. Where you do sneaky tricks like disguise yourself as a girl, fake pregnancy, dress up as a cop. All of the cool stuff not in the game trust me I forced myself through a lot of it to try and see. It treads a thin line over not being false advertisement. It’s so boring with the same animations over and over. The game is also super buggy for me it crashes if I beat a level or find a word that is not the word the game wants. And if it doesn’t crash if I find a word that is not the answer the letters will stay stuck on the answer boxes and you can’t see what is the world you are typing with out exiting the game again and reopening it. It was mostly a higher level bug and even though they claimed to have “fixed it” five days ago it has not been fixed. I am extremely disappointed at this game and I am tired of all the glitches so I’m uninstalling this game and not recommending it to anyone. Word Story does not deserve its 4.8 score more like a 1.8 score. This game is the worst. I get ads on it all the time and thought that it was interesting. Once I downloaded the game, it was nothing like the ads. There is literally no story line besides the character trying to dig a hole in a wall, and dumping rocks outside out of a weird little brown bag. The only “fun” part was trying to find the words, which by the way have no relevance to the game. They are just random words most of the time, unlike the ads that make it seem like whatever word you spell is what is going to help you escape prison. But this was such a waste a time, because I was playing the game for a long time waiting for something to happen and nothing did. If this game was something like the ads I saw online I would be way more interested, but again, it’s is not. Just don’t download this game, and don’t waste your time on it. I normally do not leave reviews but I felt that I needed to leave one on this app just because of how much it surprised me that something like this could be so misleading. 1st: This game is loosely based on the movie 'Shawshank Redemption'!! Just so the ones that don't know now know. 2nd: I gave this game 3 stars cause for some reason I've noticed that while I'm playing I'll lose feet of progress of my tunnel!! Whats going on? Is it me? Is it the game? Please help! If it's me please tell me what I'm doing wrong but if it's the game then please fix this. I just started playing the other day and I was 36 feet into the tunnel and I do a few word puzzles and then it says my progress is only 24 feet! So please what's going on? I don't understand at all. The ads are irratating but I can deal with that but losing my progress for no reason, that I can't deal with. Fix that and u will get 5 stars from me. Thanks and I hope to see a reply to this soon cause it's bothering me so bad I'm on the verge of deleting. Also I agree with some of the other players....it would be nice to have some more cut scenes. Maybe have him interact with other prisoners and I think the words u have to find should be more linked to the scenes. For example, show him outside playing ball with others and have the word puzzles be about the ballgame and so forth. Or him doing his prison job one day in the laundry and the puzzle words be connected to the laundry. Just to keep is a lil more entertained in the story a lil more. This is a good game if you need to eat up a few minutes of time. The story is not much and the ads are annoying, but, unlike a lot of games with in app purchases, it very playable without buying anything! There is no move/level limit to tempt you to buy currency to get past and the in game currency is fairly generous (especially in early levels). If you can resist getting hints than you end up with a lot of money for when the words get harder. Also, it does let you close out of the involuntary ads quickly. I'm not going to criticize an app for having ads or an in app purchases system. The creators need money to survive just like the rest of us, but this game actually has an overall very fair system or, at least, a LOT more fair than a lot of other app games. I’ve gotten as far as DAY 129 or something, and have yet to get my character to escape because I haven’t made anymore progress after realizing how repetitive this game can get. I’ve also realized before I got to DAY 100 that the mystery words would have nothing to do with the story majority of the time. Despite not having to pay for items that will help give you hints what the mystery word could be by watching the endless amounts of ads they have, it annoyed me more than anything that I felt like I was wasting my time when the mystery words were “could”, “would”, “they”, and so on. I agree with the others who’ve commented that this game had so much potential, and I wasn’t bothered by the fact that the ads helped me get free items to progress further in the game, but guessing the mystery words that had nothing to do with the story definitely got me to stop playing. IT'S NOTHING LIKE THE ADS! When I first saw this in an ad, it looked like a really fun game! 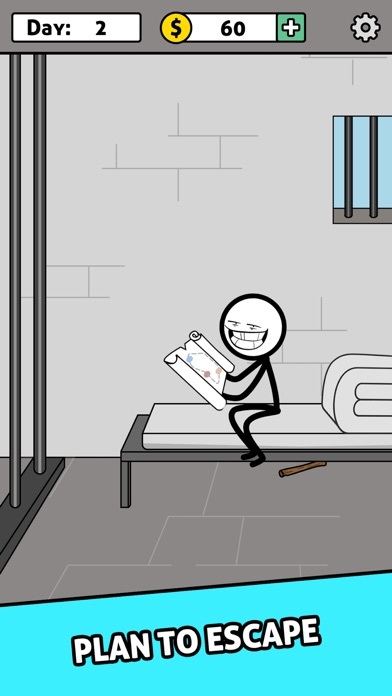 It was like a more modern version of the original stick-figure jail break game; I liked the idea! I got the game, and I was completely disappointed by the story. I played this up to chapter 4, and literally NONE of the scenes, animations, characters, movements, story, dialogue, CHANGED! In other words, it's a complete ripoff. I also don't like how the game has no difficulty or "consequences" what so ever! Failing in this game just doesn't exist! You constantly mess up the same thing over and over again and don't even get sent back to the start or your story changes, which makes it extremely boring. In the end of every ad of your game, the "person" fails to spell a word and their character dies, so that means APPARENTLY THAT ISN'T HOW IT WORKS IN THE ACTUAL GAME! To fix these disappointments, I would either change your ads to how the game actually is, or change your game to how the ads describe it. I downloaded this game today and never had so much fun I know everyone opinion is different but with my disability’s I have trouble focusing and learning certain things. For some reason I am focusing and actually giving myself a challenge trying to figure out the words even though you can have multiple words(if not right one they give you coins as long as it’s a word) if you can’t figure it out you get items to help out I haven’t used one yet plus if you make a word that isn’t anywhere where they are looking for they will start to subtract some letters to me this Game is challenging to me may not be to some people but at least I can give myself a challenge thank you. Okay so, I do have to agree that this game is fun to an extent. Yes, it is a very good time waster and it does sometimes make you think. Some of the problems I have with this game is that there are just way too many ads. I get around a 5 second to 30 second ad every 2 to 3 puzzles and it’s just very irritating. Another thing, is that when I downloaded this game and started to play it, I had started to notice that the word puzzles were just random words and some of them just didn’t make any sense at all, I at least thought they would have added in some puzzles in the game that were prison related or not stupidly random, one of the ones that I had got, the word was, “HAS”. Like, who in the world would have thought of that, and some of the words just never really made any sense, it’s semi hard to get coins to purchase “Hints”, and I just really thought this game was just a cash grab and or a quick way to get some money and not really put much effort into the puzzles and words that you had to find. Overall, this game is both worth the download and not worth the download, if you want to have a good time waster, download this game, but if you hate constant ad interruptions and the unending amount of random as h*ll words, don’t download this game. This game is nothing like what they advertise it to be on other games. I downloaded this game looking to have fun trying to “sneak past the guards” or “helping my cell mate escape”. Neither of these happen it takes FOREVER to make any progress one of the “levels” has 313 levels in order to progress. To me that is in heard of and makes you feel like you are getting nowhere, especially when they the same graphic of your person digging the same tunnel in the same spot time and time again. Don’t waste your time trying to play this. I’d like to chalk this up to an old “bait and switch” move car dealerships do, this game is nothing like they advertise. I made it “322 days” and haven’t made any progress for “112 days”. Again don’t waste your time. I will be deleting this game after this review. This game has many, MANY, ads for it, as I’m sure why most of you are here. These ads do not show the real game. This game would probably be WAY more fun if it was high action and you had to escape like that, but that is not the case. You just slowly and tediously dig away at a wall forever. I presume this is the case because making the already poor quality animations was too much work for them. And 7/10 times when you solve a puzzle it doesn’t even help your guy. It just gets through the day without any new animation. 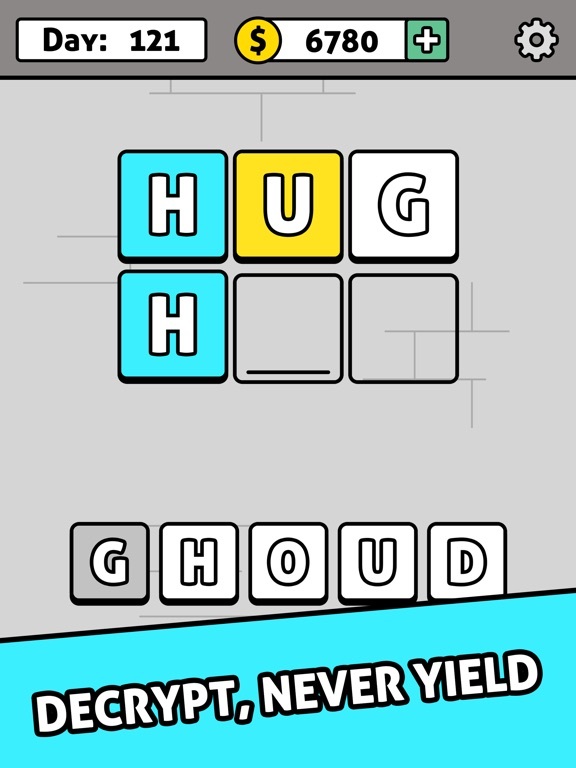 If you do like word games, this game is still fun, but not as fun as the concept the ads show. I’d also like to bet that you can’t even get to the ocean, because the day says “?? ?” But that’s just an educated guess. I’m on day 477 and almost 700 yards in, but for the last few weeks and probably 500 yards or so nothing has progressed. I’ve been in the the tunnel for what seems like 90% of my time playing the game which has been 3-4 weeks. I play about 1-2 hours a day in my free time. But it’s always the same; easy to medium to hard, then repeat over and over and over with no more story progression after the 1st couple of days playing. Totally stale. Update: about 550 days in now and basically completed story. They added an xtra scene that is just plain lame. Plus all the words have bearing anything except for a few in the very beginning. Could be any simple word from the dictionary with no hint as to what. The only only hints are taking letters away by watching ads...meh...boring now. 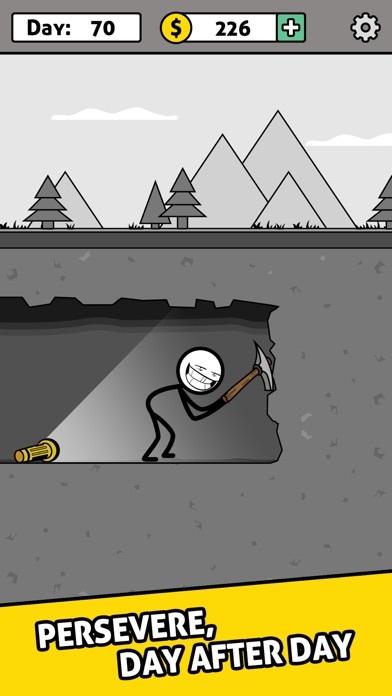 I love the creativity put into this game, it go’s from digging with a stick to a spoon to a hammer and so on. I was really stunned, I thought it would’ve been like the stick man series were each action would come to an ending or a death but you had to create the word/action until I found myself digging with a stick😳. I also found myself overconfident, I would feel so confident that the word was the state Ohio just to find out that Ohio wasn’t a “legal word” lol. Over all I think it’s a great game👍🏻 and if you love words and like to challenge your iQ then go ahead just don’t blame me when you find out a word you’ve been using for a long time isn’t a “legal word”. I know you’ve all seen this in the other reviews but why not add another to the pile. The game is pretty fun at first, because we’re getting new items as we play. It’s interesting and we wanna help the little stick guy. The levels seem like they’re getting harder because more and more letters are coming in. But at ~60 levels in, nothings happening. I haven’t played too far, but it seems that the hammer’s the last item. And the levels don’t get any more difficult. It seems it doesn’t go above 6 letters, and there’s so many 3 letter levels. We’re this far in, we don’t need anymore 3 letters. Overall the game is fun but so repetitive. If you want to lure the audience in with new items, then actually make new items. Don’t just stop after 60 levels. I have no clue how this is the top game in word games. 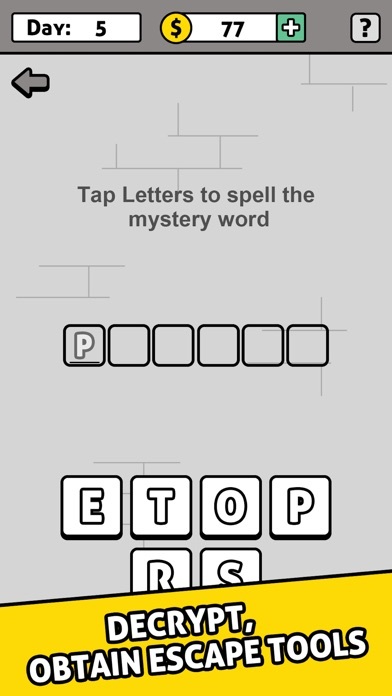 It starts out kind of fun- you are trapped in a jail cell and use the provided letters to find tools to help you escape your cell. Except that only happens once or twice. Then you start digging out and I’ve been digging this hole for 150+ game “days.” Each time it tells you that you make progress- inch by inch. I keep thinking after I reached a certain milestone that I’d get to do something new, but no, you just keep digging with no idea of your progress or how long you still have to go. Even watching the ads (oh God, so many ads) to get a tool like a pick axe doesn’t speed up your advancement rate. I dug 30” with my bare hands and 36” with a pick axe. Anyways, I gave the game more than it’s fair shot and now it’s going in the trash like so many other cash grab advertising games. 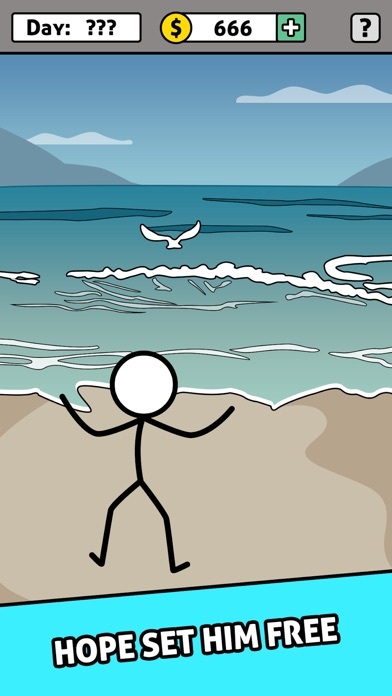 The “game” is a story of a stick figure escaping from prison. The story is constantly being interrupted by ads and word jumbles with extra letters. Guessing an incorrect word removes the letters guessed from the correct word. Guessing real words gives “cash” that can be used to buy hints. Watch ads for more “cash”. Also get interrupted by ads. Even had an ad interrupted by another ad. There is no real choice involved with the jumbles, so if you can make “shiv”, “shovel”, and “spoon” with the available letters and “spoon” is their choice for the story that will be the word. While some of words are key to the story many of the jumbles have nothing to do with the story at all... or are crap like a bottle to bribe the guard with for no apparent reason or food eaten in the cell. Ever watch a movie with five scenes eating food for no apparent reason related to the story? No? Probably because it’s boring! I’ll let ya guys have a great day and be fun and fun for yourself to be a good friend too and I’ll let ya go out and hang out with you guys tomorrow I know I have no idea how to make it to go get there a few minutes late I’m going home right now I just don’t worry I’ll text ya later I’m sorry I forgot to text I’ll er is your time I’m going to be home around four so I just want to talk with ya I know I don’t want everyone out here I’ll be waiting to hear back about your trip I’m sorry. I’ll be there in a bit I don’t want to talk too bad I know I have nothing else I’ll be there in about rewear you have a nice night I’ll let edifies ever you and I’ll let know you know when wI eyou xivpgus is time amp time I will go get ya amp I’ll be there around amp then I rhave ewas ititiy was a good morning how’s your work good night to do Everett . Could B Enjoyable, but not as artistic as it should be. When I saw the adds to this game, it looked super fun! I definitely wanted to try this game out. At the beginning it tells the person playing you were accused of killing your wife. I thought this was gonna be an entertaining game when I saw the first bit + the adds. So I played a couple levels, “I’ll probably get to the fun part in a moment!” I thought. I played more and more and I STILL didn’t get past digging through the wall. I am surprised there were so many good ratings for this game. I DO NOT recommend it to any players. Another thing is it is just random words your guessing, unlike the adds which you had to pick words to help you escape. You have no clues and your just guessing words randomly! This game is terrible and I wish they would fix it. I really had high hopes for this app 😕. Made it to Chapter 11 and it’s nothing like the advertisement that shows you setting prisoners free, escaping in a suit case, etc. There is not much in regards to a story. I get that it’s a word game, but once you progress to a certain point you don’t get nearly as much story progression as you did in the beginning and even then it’s the same 6 scenes repeated with different “levels of progression” which by the way doesn’t seem to mean much. If you like word games, you may enjoy it, if you’re looking for something different in the word game genre this does absolutely nothing innovative. I give it 1 star because of the deceptive advertising which actually led me to download it, the lack of actual meaningful story progression, bad pacing, and the game does nothing new or different to keep me coming back for more. The ads for this are extremely false because I’m on day 258 and nothing has happened for at least 100 levels. There are multiple ads to go through, which is normal, but ads are the things that make the game worse. Sure it may be fun, but making an ad this misleading is just not right. If you have an ad with this much animation, why not incorporate it into the game? Just make it like the ad. Nothing happens at all in half the chapters except the same animations over and over again, picking up rocks, dripping rocks, moving a rock, adding support to the large tunnel, etc. But it adds absolutely nothing to the storyline. So the only way you guys can fix it is change the ads to stop misleading people or actually spend time on the game instead of making your ads more interesting than it. In this game the point is to supposed to be escaping prison, and that’s what the game is mainly about. In the ads of the game it shows the player typing a word, and the player doing exactly as the player types. Although, in the game the app is way different than the ads. In the game the words mostly have very little to do with what the player typed, and the player keeps trying to escape prison but never gets out. The game basically just does everything to keep you stalling and not escaping. The app can work on making their ads match up to the game by changing the ad. Also, the game could match up to the ad by making the games words more relevant to what he is doing and not be endless. If the developer sees this please take it as advice. This game made me sick. How you ask? Well first, you have the false advertising, like pretty much all real reviews say. This game is completely different, and it’s way too repetitive. There are also ads overwhelming you, preventing you from having a good experience and actually trying to play (even though there’s not much of a point playing anyway). But you know what’s the most sad thing about this game? The fake reviews. This game has so many fake, paid people writing a “five star” rating. There are so many fake reviews that it’s gone to 5 star. I’ve seen a few reviews saying about false advertising, but the developers just say that they’re developing the game, which is a really bad reason. I really hope that this game changes in the future, it’s really not great. Do you want a game that convinced you to download it from misleading ads? Do you want a game that has more ads than gameplay, so much so, you will leave the game wondering how much you actually played of the game itself? Do you want to keep guessing words and not really advancing all that much? Well then, my friend, this is the game for you! Not only will you wonder why you downloaded the game, you will also question why you spent so much time guessing words, with little to no advancement. The game is free but you will pay by the hours you fritter away watching the same ads over and over and over again. In fact, even if you succeed without needing assistance by watching an ad, they will throw one in just because you won. Act now, frustration, annoyance and disappointment await! To be honest, the ad was a lie. I kept seeing the ad in a different game I was playing at the time and finally thought to give it a try. Well I did, and I found out just how bad the game is. I’m on, what level 15? And I can already tell that the game is way too repetitive. You have no clues whatsoever to the words and then the words are useless. They don’t do anything. One of the words was literally “pink” and it did nothing. Another was “hide”, so I thought,”Oh maybe he might get caught and he has to hide!” Nope. Just another ad and straight back to finding more words. HUGE waste of my time. I only gave it two stars because although it CAN expand your vocabulary... no that’s it. I would’ve given it one star if I didn’t feel so bad. Just... don’t get the game. It’s not that fun... trust me. Fun, but fails to hold up. So I downloaded this game, and at first was having a lot of fun, I was determined to get out of the prison, I was watching all your forced ads. But 38 feet through that wall and at least 150 levels more, there are just so many levels I am unmotivated to keep playing, especially when nothing new is really added. For those just coming across this, it seems appealing to escape, but you would have to spend at least a total day in play time, and it gets boring. With no end in sight. The challenges are also pretty boring and frustrating. 20 letters and I need to find a certain word. So yeah, 3 stars, good for a quick play, but nothing more. It’s a good game I guess, but the ads mislead you into thinking that when you get correct words or the wrong words something will happen like an animation (sort of like a choose your own adventure except if you get the word wrong or a different word than something bad happens). However, when I played it I just sat there typing in words nothing really happens no movement or anything just like a regular old word puzzle... kinda disappointing. Giving it three stars cause it’s a functioning game, but the ads were misleading. I will never understand why companies make ads that don’t fully display or completely change their game. I’m 30 levels into the game and it is really boring. The levels are just animations of a guy whacking his cell wall with a stick. Sometimes the animation is the guy going out to dump his rocks on the floor outside. Other than this the animations are just the same things happening. The words aren’t that hard, the words that are given are also not related to the storyline in any way. Some words are just “WAIT” or “PINK”. what does pink have to do with anything? Speaking of the words, the English is not good at all! I get the fact that different games come from different countries but the English translation is terrible. Grammar is bad, spelling is wrong, it’s just not that great overall. The ads make it look like a fun game but it is actually really boring and not well made. Okay so I’ve been playing this game for a while. I’m on day 400, and it just gets repetitive. Words repeat and there’s nothing going on after you break out. It’s just freedom so what’s the point. Also the update is ridiculous you don’t get to see the past words you used, and now it just explodes and it just makes it so much harder. A game I used to enjoy playing to make my brain slow down has turned into frustration. I hope you reset what it was like before because now it’s just a sad reminder of what it used to be. In my opinion you probably updated it to make a few more bucks on people using more coins.